Welcome to this site, dedicated to the history and genealogy of Dayton, a small, unincorporated village in La Salle County, Illinois, with a long history. 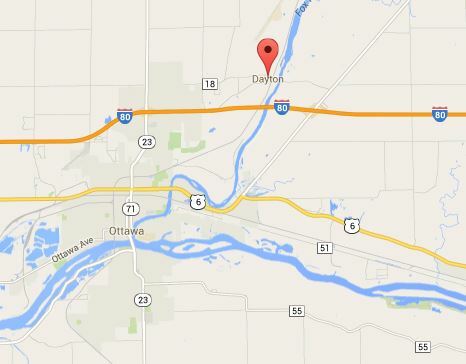 Dayton is located on the Fox river, four miles above where the Fox flows into the Illinois river at Ottawa. 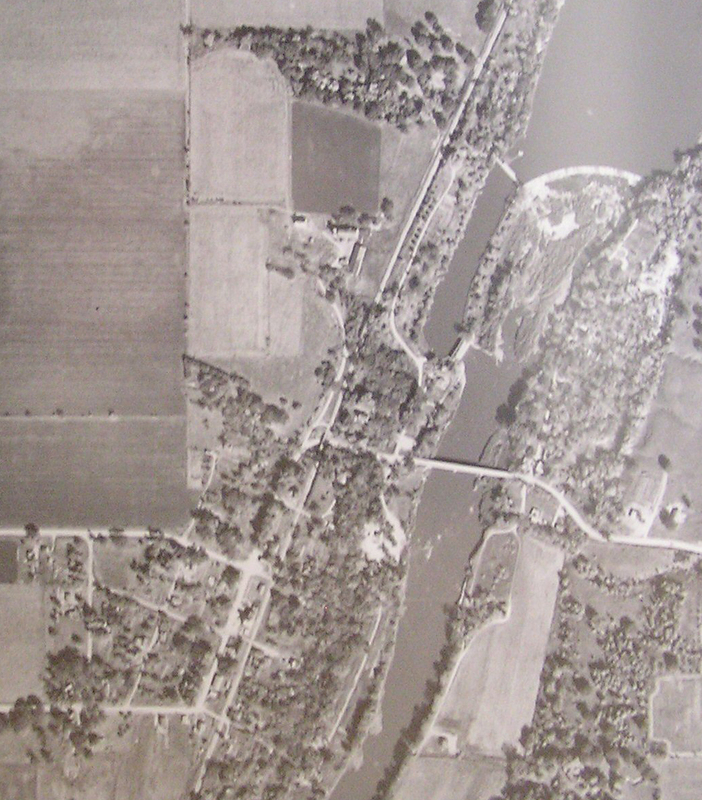 In the aerial view below, the village is in the lower left quadrant, the dam on the upper right, and the cemetery in the V-shaped clump of trees at the top. In 1837, the town of Dayton was platted. The lots which run parallel to the river constitute the original Dayton. 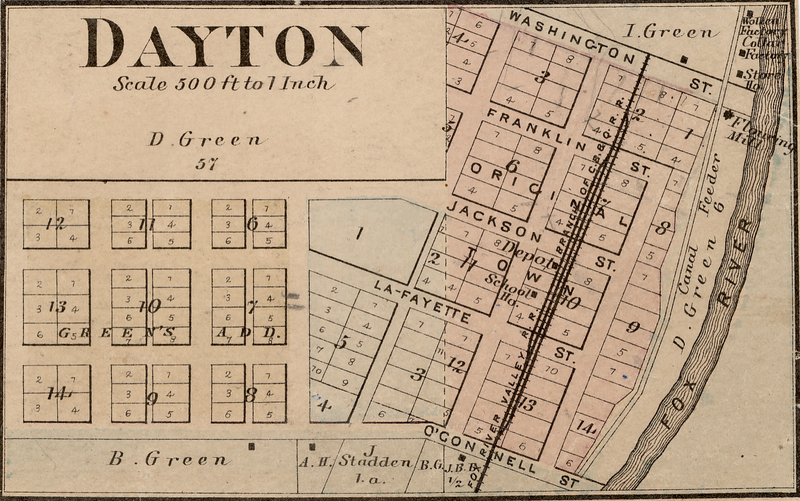 The more conventionally aligned north-south blocks to the west are Green’s addition to the original town of Dayton. This is my great-aunt Maud Green, without whom there would be no pictures of early Dayton. She was the granddaughter of John Green, the founder of Dayton, and had a great interest in the early history of Dayton. She was related to nearly everyone in the area. In those days of large families it was not unusual to have seven to ten children in a family. Aunt Maud amused me once by counting up her first cousins — she had ninety-six. It is due to her that we have some first person accounts of the earliest days in Illinois. She wrote down some of her grandmother’s reminiscences, which will appear from time to time on this site. I am lucky to have inherited her collection of Dayton and family information. There will be weekly posts which give historical snippets of Dayton’s past, so check back often to see what is new.